McConnell Farm Supply offers equipment to meet the needs of today’s farmer, small construction and building tradesman, and the residential customer with a country living lifestyle. Please browse our selection of equipment to match your needs with what we can offer! McConnell Farm Supply is the largest, and longest standing authorized Penta dealer in the state of Michigan. Penta offers the most complete line of TMR vertical mixers on the market, with a wide array of available options. Penta mixers have a history of durability and dependability. The company is continually evaluating its?product to meet the needs of today’s changing market. Click here to visit the Penta website, or contact us directly to see if a Penta mixer is right for you. McConnell Farm Supply is an authorized dealer of Gehl equipment. Gehl has been producing quality equipment for over 150 years, and is a leading manufacturer of agricultural and construction equipment in North America and beyond. Gehl offers a broad line of equipment such as skid loaders, compact track loaders, telescopic loaders, and all-wheel-steer loaders. Click here to visit the Gehl website, or contact us directly to inquire about pricing and purchasing. McConnell Farm Supply is an authorized dealer of Jamesway equipment. Jamesway is a leading manufacturer of quality manure handling equipment. With their equipment in service throughout North America and beyond, they have a proven record of dependability and performance. Click here to visit the Jamesway website, or contact us directly to inquire about pricing and purchasing. McConnell Farm Supply is an authorized dealer of J&M equipment. J&M Manufacturing Co., Inc. is a leading manufacturer of grain handling equipment. 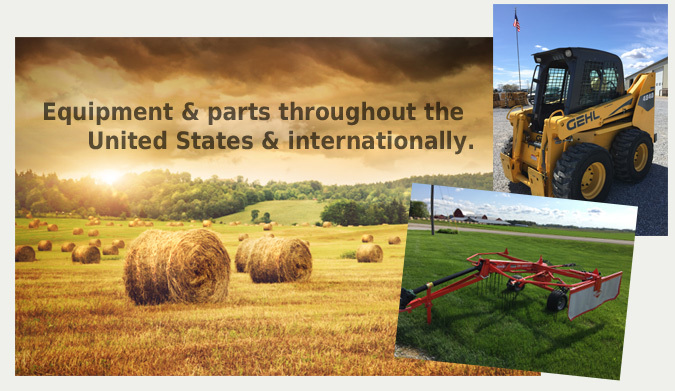 J&M has consistently provided innovative, dependable, and high quality products to farmers throughout the United States, Canada, and overseas. Click here to visit the J&M website, or contact us directly to inquire about pricing and purchasing. McConnell Farm Supply is an authorized dealer of Kuhn farm equipment. Kuhn is a worldwide leading manufacturer of hay tools. Through their strong 180 year plus history, the company continues to manufacture innovative and high quality products. Click here to visit the Kuhn website, or contact us directly to inquire about pricing and purchasing. McConnell Farm Supply is Michigan’s largest authorized Kuhn Knight dealer. Kuhn Knight is a leading manufacturer of TMR mixers and manure spreaders. Kuhn Knight is considered to be a leader in their industry as a result of high quality and continued innovations. We can offer you years of experience and support for Kuhn Knight equipment. Click here to visit the Kuhn Knight website, or contact us directly for pricing and purchasing. McConnell Farm Supply is an authorized Art’s Way dealer. Art’s Way Manufacturing Co., Inc. is a manufacturer of grinder mixers, dump boxes, and graders, along with other farm equipment. Click here to visit the Art’s Way website, or contact us directly for pricing and purchasing. McConnell Farm Supply is an authorized Miller Pro dealer. Miller Pro is a manufacturer of hay and forage tools, such as rotary rakes and dump boxes. Click here to visit the Miller Pro website, or contact us directly for pricing and purchasing. McConnell Farm Supply is an authorized Roto Grind dealer. Roto Grind is a leading manufacturer of tub and grain grinders. Click here to visit the Roto Grind website, or contact us directly for pricing and purchasing. McConnell Farm Supply is an authorized Grasshopper dealer. Grasshopper has been a leading manufacturer of quality, zero-turn mowers since 1970. Grasshopper offers a wide range of mowers and attachments in front and mid mount models. Click here to visit the Grasshopper website, or contact us directly for pricing and purchasing. McConnell Farm Supply is an authorized Woods dealer. Woods is a leading manufacturer of attachments and accessories for tractors and skid loaders. Click here to visit the Woods website, or contact us directly for information, pricing and purchasing. McConnell Farm Supply is an authorized Sioux Steel Company dealer. Sioux Steel is a leading manufacturer of quality gates, panels, round bale feeders, bunk feeders, as well as many other livestock accessories. Click here to visit the Sioux Steel Company website, or contact us directly for pricing and purchasing. McConnell Farm Supply is an authorized Ritchie Fountains dealer. Ritchie manufactures a complete line of livestock automatic watering products. Click here to visit the Ritchie website, or contact us directly for pricing and purchasing. McConnell Farm Supply is an authorized Mensch Manufacturing dealer. Mensch Manufacturing provides rubber tire scrapers for manure and feed applications with many different mounting types, and also manufactures sand and sawdust shooters. Click here to visit the Mensch Manufacturing website, or contact us directly for pricing and purchasing. 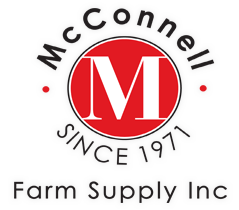 McConnell Farm Supply is an authorized dealer of Meyer Farm Equipment. Meyer is a leading manufacturer of manure spreaders, forage boxes and wagons, as well as a variety of other farm related equipment. The sixty-five plus year old company prides itself on quality and value. Click here to visit the Meyer Farm Equipment website, or contact us directly for pricing and purchasing. McConnell Farm Supply is an authorized Balzer dealer. Founded in the 1940’s Balzer is a leading manufacturer and distributor of livestock manure and waste handling equipment, large capacity grain carts, and flail shredders in the United States. Click here to visit the Balzer website, or contact us directly for pricing and purchasing. McConnell Farm Supply is an authorized Haybuster dealer. Haybuster offers innovative, heavy-duty, high-capacity, tub grinders and bale processors, along with many other products. Click here to visit the Haybuster website, or contact us directly for pricing and purchasing. McConnell Farm Supply is an authorized Roto-Mix dealer. Roto-Mix offers a complete line of TMR mixers, that are innovative, durable, and customer proven. Click here to visit the Roto-Mix website, or contact us directly to see what Roto-Mix mixer is right for you.